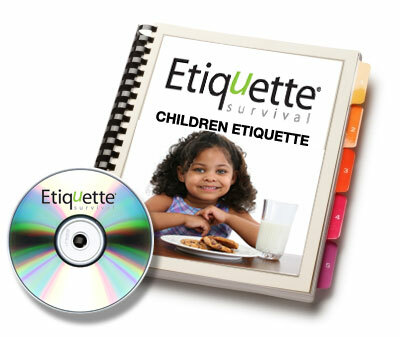 View cart “Marketing & Advertising Your Etiquette Business Manual & CDROM” has been added to your cart. Includes one teaching manual with student activities, lesson plans, photos and illustrations. Each chapter may be taught independently. Why Are the Rules of Courtesy Important? Consideration: How Would I Feel If . . . ? Lesson 1: What Is Etiquette? Lesson 10: Be Good to the Planet & Animals! Lesson 12: “What a Pretty Table You Set” Help Set the Table!